I am currently working in a style I call Geometric Surrealism. 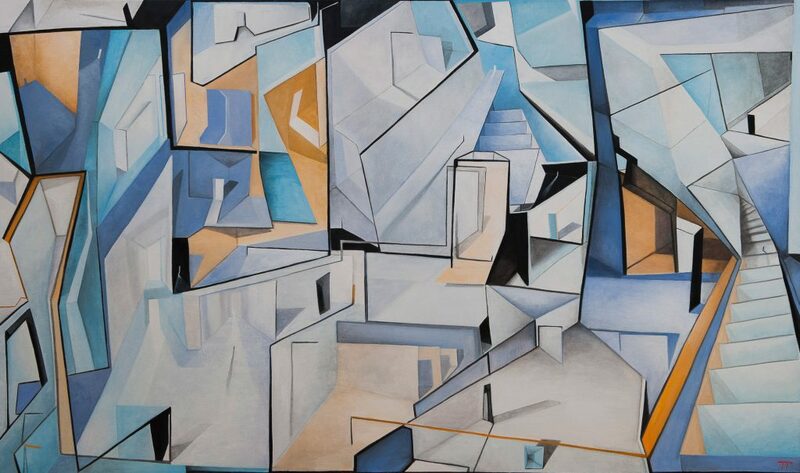 This style explores the use of multiple views of spaces and corridors, using varied light sources to create spatial depth in abstract compositions. My work is inspired by the tension between certain dualities: the conscious and subconscious, light and dark. As an abstract artist, I am philosophically interested in the subjectivity of the mind, and it’s capacity for skewing perspectives of external events or the physical world. In this approach, the design is pared back to its basic building blocks, simplified and abstracted to produce a contemporary composition of geometric shapes and planes with graphic over-tones. This challenging framework offers the viewer a fragmented suggestion of space and perspective that seems both mechanical and architectural. Perspective is played with through overlapping layers and scale, simultaneously creating an illusion of spatial extent, and breaking it. In breaking a painting down into compartmentalized units of color, stripped of all extraneous detail, the composition becomes open to interpretation. My paintings don’t offer a representation of reality, but an idea of it. The shifting physical spaces mirror the shifting interplay between the varied psychological perspectives of the viewer’s mind; stairways and corridors appear and disappear, a metaphor for the challenges that arise in seeking a path aligned with your higher self, a struggle sometimes shadowed by hidden aspects of the psyche that are not readily shared or easily understood. 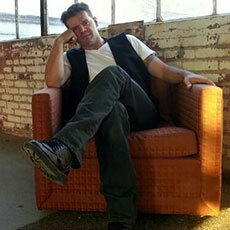 I trained as a painter at the Columbus College of Art and Design. My work can be found in the collections of the Columbus Museum of Art ( Larry DiRosario Collection), the Downtown Hilton (Columbus, OH), Northern Kentucky University, Greater Columbus Convention Center (Columbus, OH) and private collectors.